I'm grieving over the change of my work schedule. I now have to work Saturdays, I mean, I was the one who asked for Sundays off instead, so really I got what I wanted, but, whatever! The first Saturday I was rostered on happened to fall on the same day that Nene chicken was hosting their bloggers lunch, so naturally I asked for a half day at work (other than this time I'm a great employee, I promise). I was honoured and excited over my first ever invited lunch and was very glad I was allowed to bring a plus one, the lively Miss. S, thanks Nene. Miss. S and I were famished when we arrived and couldn't wait to start eating. If I had a list of my favourite cuisines, Mexican food would have to be third only to Japanese and Chinese! I love fancy Mexican restaurants and the slew of fast Mexican food joints taking over Perth. 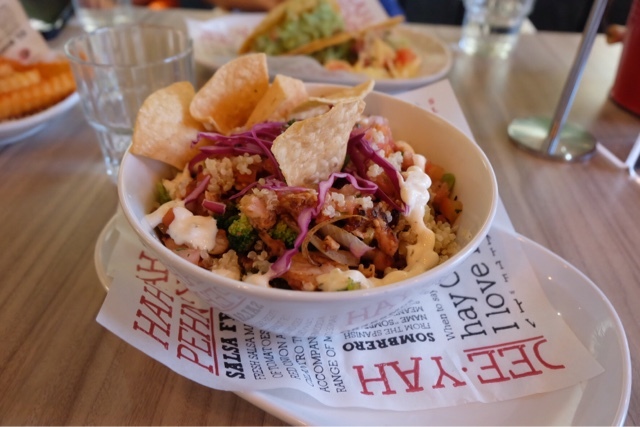 One brand that seems to be everywhere at the moment is Salsa's Fresh Mex Grill. On the surface all the different brands look quite similar, so, let's dive in on Salsa's in East Victoria Park to see their specialties. What to do on a sunny morning on your day off? Go for a healthy breakfast of course. This time to be accompanied by the then young intern Miss. J (she's now a fully registered pharmacist!). At work she has been raving about the food at Little Bird, so there was no question where we were going for breakfast! The menu at Little Bird is quirky, original and definitely healthy. It took us a very long time to decide what to order. Well, it took me a long time to decide, it took Miss J about two seconds. Just thinking about visiting Tra Vinh always makes me giddy with excitement. My family and I visit Tra Vinh regularly, we think it's one of the best Vietnamese restaurant in Perth. Even my Vietnamese friend said this is one of her favourite too. If it has the stamp of approval from a fair dinkum Vietnamese, then it's good enough for me! Even though this place has a massive menu, I always seem to end up ordering the same menu item every time, my stomach knows what it wants. For this post, I don't have the details of what each menu item is called and how much it cost. It seemed as soon as I stepped in, my brain stopped thinking and the eyes and stomach took over, that's my excuse for the lack of details. But, I hope you enjoy the photos anyway! Not too long after Three Little Piggies' dinner at Nunam Thai, Miss Di organised another dinner. This time though, we became the Four Little Piggies as Miss Lydia was able to join us! When I received the invite, I had a feeling someone was going to make a big announcement, woman's intuition is a powerful thing! Anyway, she organised dinner for us at Monggo Restaurant, an Indonesian restaurant. I was so glad she chose this place, I've been itching to try it, but couldn't find the right group of people to accompany me here. Once everyone had arrived, we were going through the menu carefully. At first sight it seemed the menu made up of traditional Indonesian foood with focus on Balinese dishes. In the end, Miss Lydia and I, the two Indonesians in the group, took control over the ordering. Below are the dishes we tried during our dinner. For the first time in the 17 years I've lived in Perth I planned to join in the craze of Boxing Day Sales. Mr. T and I arrived in the city by 9am and we were pumped, moving from store to store and buying things we never knew we needed at the speed of light. By 11 we were both exhausted and hangry. 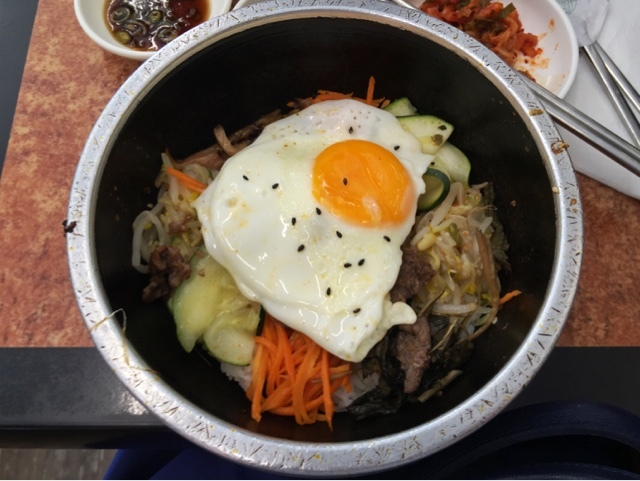 I knew exactly what I wanted for lunch, bibimbap! And, I knew exactly where I wanted to go, Took Bae Kee! As if by fate, it turned out on boxing day took bae kee opened earlier, which meant we didn't have to wait a minute longer to enjoy our delicious Korean food. 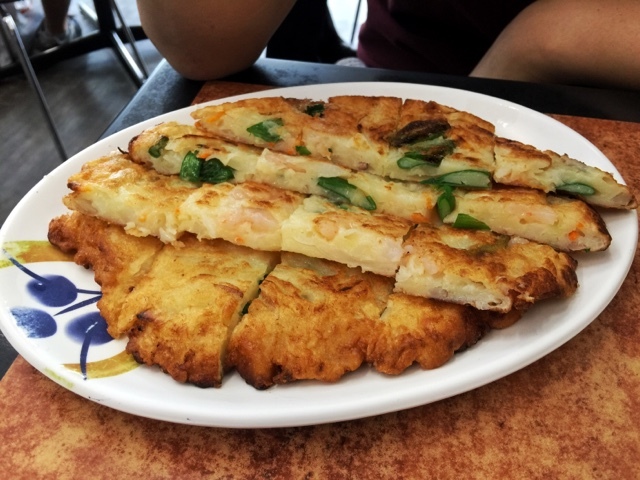 To begin our meal, we ordered the mixed seafood pancake. 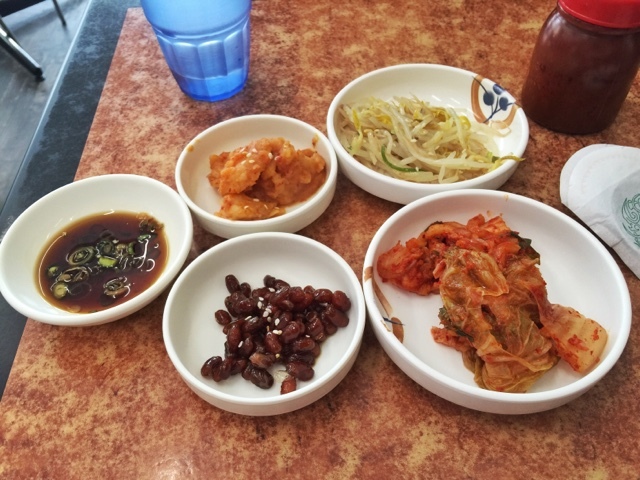 I love Korean pancakes, especially the tasty soy sauce that comes with it. The pancake at took bae kee is always tasty, however they do make it a little bit thicker than I like it, so it's not as crispy. The flavour is delicious and because it is quite thick it very filling! Just add rice and you could have a whole meal out of it. For mains, I opted for the soy beef dolsot bibimbap. 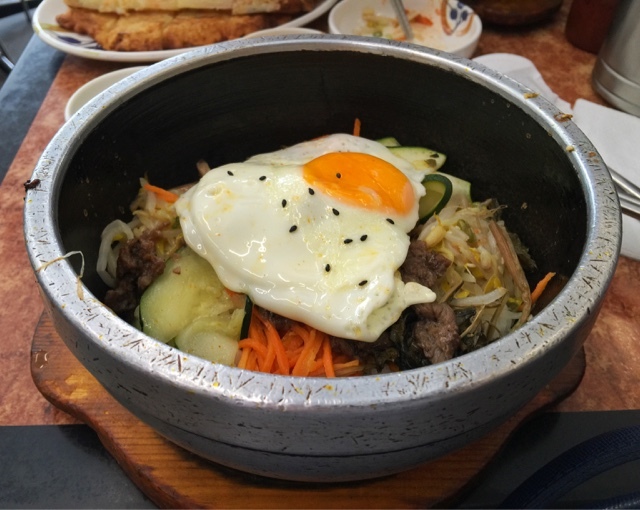 Bibimbap is always better in the clay bowl, making it warmer for longer and it leaves a nice crispy layer of rice sticking to the bowl. 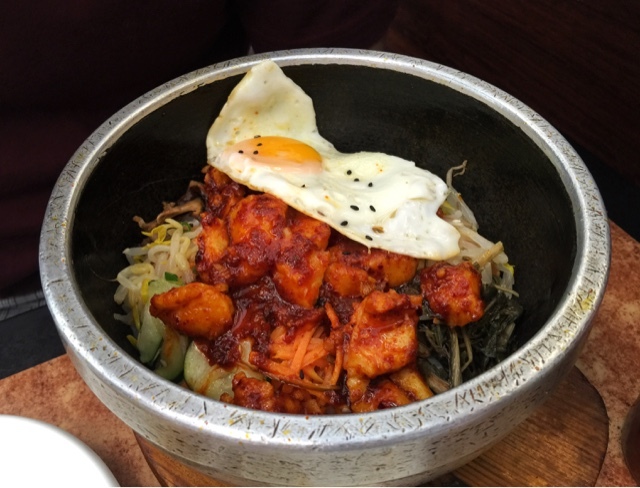 Mr. T ordered the spicy fish dolsot bibimbap. I ordered the soy beef rather than the spicy beef as I thought the spicy beef would be too hot, but it turns out I loved the spiciness of the spicy fish on Mr. T's bibimbap! So I added an extra large scoop of the gochujang to make up for it! By the end of the meal we were both absolutely stuffed, and couldn't eat another bite even though we were planning to buy Korean ice cream from the convenience shop next door. A trip to took bae kee never disappoints, the food is always tasty and the prices aren't cheap, but well worth it! Disclaimer: Prices and restaurant information was true and correct on 26th Dec 2015. Prices inclusive of 10% GST. 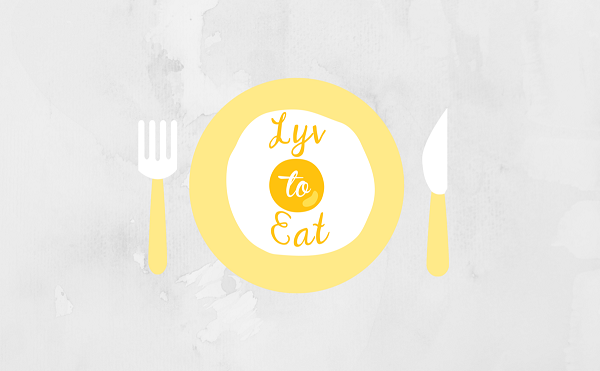 What to eat on Christmas day? My parents and siblings were overseas and abandoned Mr. T and I in Perth, so we had to fend for ourselves. We were just leaving the church from Christmas day mass and had planned to cook brunch at home. At the last minute, I just couldn't face cooking brunch and cooking for a pot-luck dinner we were going to that night. 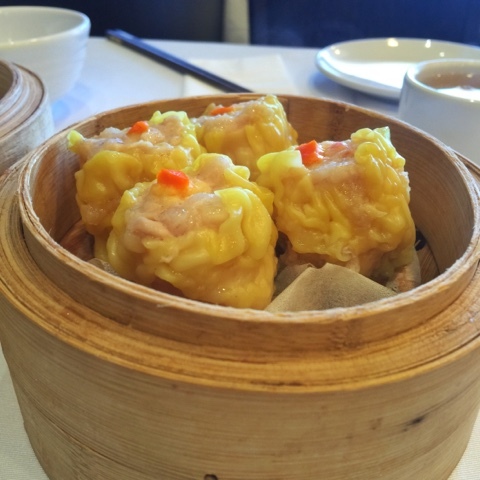 Then and idea popped into my head, DIM SUM! I haven't been in so long and I was certain at least one Chinese restaurant would be open in Northbridge. 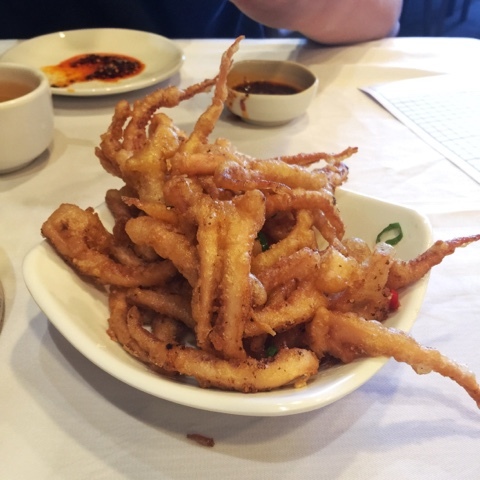 We made a beeline for Northbridge Chinese Restaurant, but at the last minute decided to try the relatively new Chinese restaurant next door, Canton Bay. Our first impression of this place was good, we were greeted and seated quickly and before we knew it the steaming trolley was at our table. As it was just the two of us today, we tried to limit the amount of dishes we ordered. 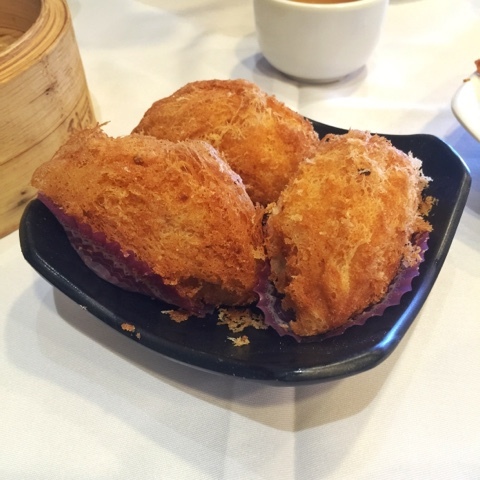 The food at Canton Bay was nice, but not the best dim sum we've had. I would still prefer Northbridge Chinese Restaurant, but the place was certainly more comfortable and the service was a lot more attentive. My favourite dish of the day was the deep fried squid tentacles. 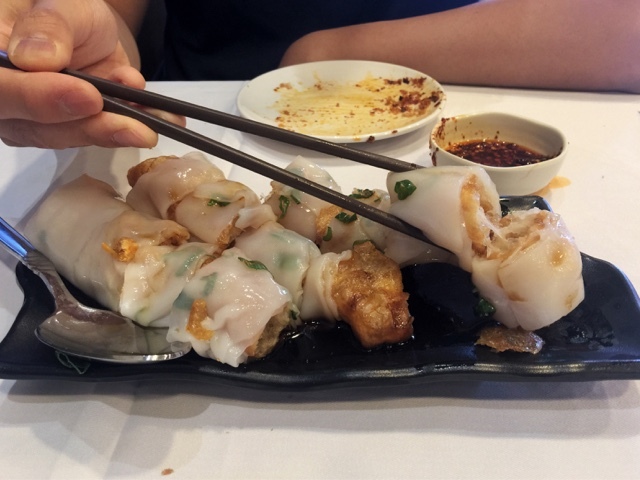 I loved the light batter and the flavours, it didn't feel as oily as the squid tentacles at other Chinese restaurants and the squid was not rubbery. The dish that I was looking forward to the most was the deep fried yam filled with pork. However, I was a little disappointed by Canton Bay's version, the yam was bland and the filling was like a ragout rather than chunky Asian style BBQ pork. 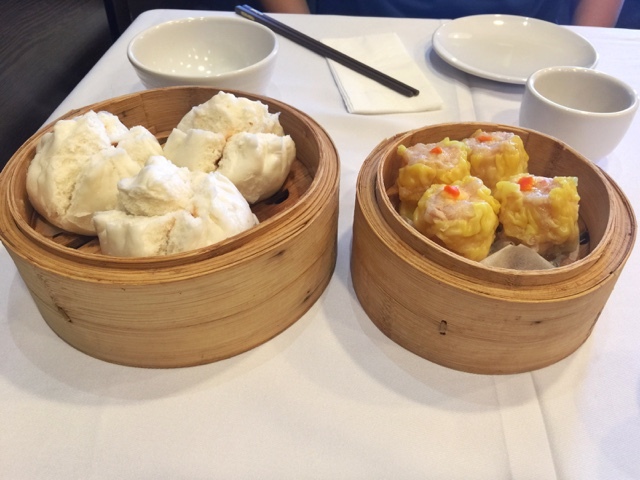 Overall, we enjoyed our meal, but we certainly had had better dim sum. This place does have potential though and hopefully they will improve their flavours with time! Disclaimer: Restaurant information was true and correct on 25th Dec 2015.